First 4 Figures, a company that makes high-quality gaming figurines, have recently anounced on their Facebook page that they’ll release a new series of figures based on The Legend of Zelda: The Wind Waker starting on January 20th. 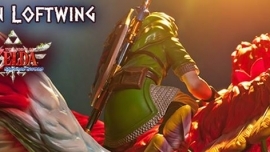 First 4 Figures, the company we all know well for making extremely highly detailed Zelda statues for us collectors, have teased via their facebook page a brand new piece! 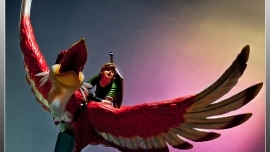 It seems that their newest figure will be based off Ganondorf’s appearance from the Wind Waker. Make the jump to check out the teaser image, and other details regarding the figure’s release in 2015!